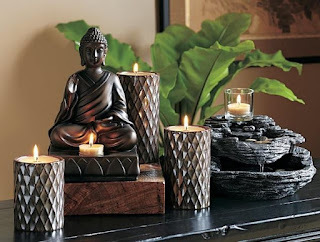 It can be very difficult to cultivate inner peace if our surroundings are chaotic or cluttered. Cleaning is an everyday task that few of us can avoid, and it provides the perfect opportunity to become one with everything you focus your awareness on (yes, even the toilet). This can be done by giving your cleaning tasks your full attention and staying present in the moment. You can even turn your cleaning session into a form of bhakti yoga by chanting a mantra, repeating an affirmation, sending love and light to someone in particular or the world in general all while you are performing routine cleaning tasks. There is a clear connection between cleaning and well-being. Among other things, studies have shown that a neat and clean home can actually lower Cortisol levels. It is possible to learn to care for your body as you care for your home, and care for your home as we care for your body. We need to create a sanctuary in our lives and—and that starts at home. Follow these six steps to help you cultivate sacred space in your home. Clearing clutter is a proven therapy for creating change in your life. Plus, you never know what you may find. When my husband and I did some spring cleaning, he found an old base violin that hadn’t been used in years and he had forgotten that it was in the spare bedroom. He then sold it for $4,500! Cha-Ching. Sometimes if there is a lot of clutter, it can be overwhelming to declutter. But once you have cleared the old and unwanted from your space and your life, you can begin to make room for something new. If you have a goal that affects your entire space, try doing something small in each room to prepare for that new reality. For example, if you want a new love in your life, create room in your closet. Planning to expand your family? It may be time to repaint that spare bedroom. You will find that all areas of your life will flow more easily after you have put your home in order. Start small: Pick a room, a closet or just a drawer and get started sorting it out. Commit to clean: Spend 10-15 minutes a day straightening or decluttering a room or the house. This will pay off over time. Go for the gusto. Put on the pressure by hosting a dinner party or inviting the in-laws over for the weekend. This way, you’ll have a deadline and no excuses. While most household cleaners have low VOC (Volatile Organic Compound) levels, it’s a good idea to be aware of the cleaning chemicals that you use on a regular basis and consider how they affect your environment. Are you contributing to the toxicity of your home? Many of us use the products that our mothers used without much thought because we tend to trust the brands we know. Using the power of intention, you can do a spiritual clean anytime to clear negative and stale energy that lingers in your home from past arguments and illnesses. Use candles, sage, or incense—or just create an intention while performing basic cleaning tasks. Whether or not you perform a spiritual housecleaning in your weekly routine, it's a good idea to give your entire home a thorough energetic cleaning at least once a year. Understand how each room in your house relates to your chakra system. When you clean the kitchen for instance, you are connecting, clearing, and opening energetic blocks to your heart center. Cleaning the bathroom will help you open your solar plexus center, and so on. The Yoga of Cleaning clarifies how the chakras relate to each room in your home. As a sister philosophy to yoga, Ayurveda allows you to use your unique dosha (take the dosha quiz) to create a custom space that balances your mind, body, and spirit in your personal surroundings. With this valuable information, your home will nourish, soothe, and support you. Vastu (the Indian precursor to feng shui) and feng shui share some common core timeless design approaches. Vastu, when translated means the environment and that everyday you are reacting to your surroundings. By following vastu as much as possible, we honor the rhythms that control the universe and establish harmony with nature and ourselves. For the decorating-phobics among you, here is a basic overview for creating a more positive and streamlined space. Lighting is everything. The choice of lighting can set the tone for a room. Bright lighting can be welcoming or energizing, awakening the mind to the possibilities that lie ahead. Lower lighting can trigger relaxation at the end of the day, be seductive and calming. Let lighting set the mood for your space. Bring nature indoors. Whatever your style, plant life and natural elements form a connection to the great outdoors. The more high tech your life may be, the more you may need Mother Nature. Circular or square? Use circular furniture if you want movement or animation and use square furniture if you want to relax or be still. Example: the breakfast table should be round to invoke energy while the dining table should be square or rectangular to elicit calm. For more information on vastu, visit Vastu Living. Studies have shown yoga to be beneficial for both physical and mental health. Knowing that physical movement is important to our health and many of us don’t always have time for a workout or yoga class, just 20 minutes a day of vigorous housework can provide your conscious movement for the day—and cut stress by as much as 20%. Calories Burned: Cleaning burns calories, roughly 170 calories per hour for a moderate effort and more than 200 for a vigorous routine. Consider your posture when washing dishes, folding laundry, and dusting. Place a yoga block between your thighs and squeeze it. This will help bring awareness to the tilt of the pelvis or a shift in the hips. It will also remind you to stand straight and root your heels into the floor and stack knees over ankles and hips over knees.